They’re incredibly cute, vicious at times, very smart, and extremely inquisitive. 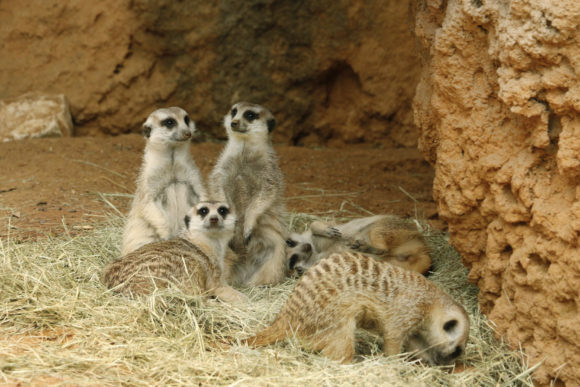 Meet our five meerkats: Huxley, Twig, Orbee, Widget and Poppet. These small predators recently learned a new behavior that’ll help vets and keepers easily perform health checks and administer annual vaccinations. Because the speedy meerkats dig and travel in underground tunnels, it’s difficult for keepers to catch them. 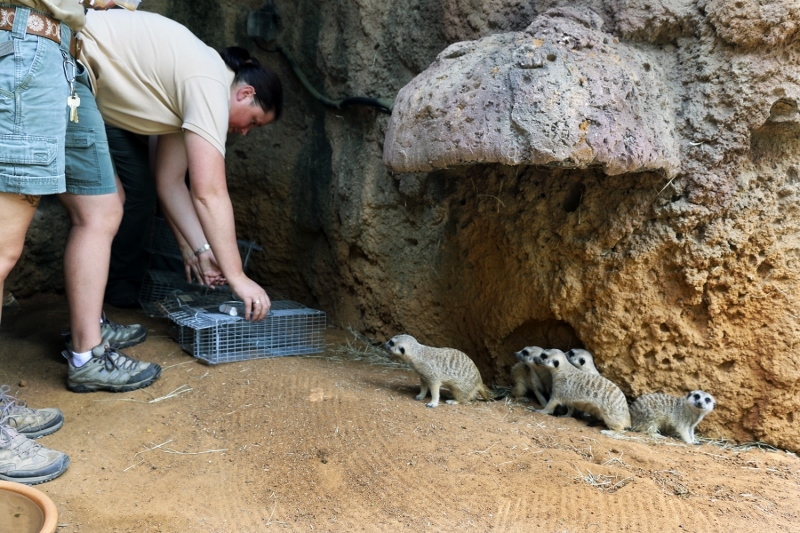 So for the past few months, keepers have trained the meerkats to station themselves inside a wire box. The lure? Smashed bananas on a spoon. 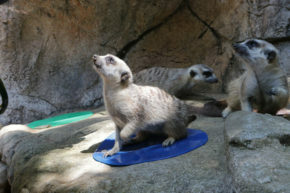 Once the meerkats are inside the box, they can be transported to the veterinary staff at the hospital. They’re only inside for a short amount of time during training sessions. The next step is to latch the doors and see if they’ll eat the spoon full of bananas while closed inside. We’re confident this bonded clan will nail it! Check out these photos from a recent training session. The meerkats look on as keeper Sara Squires sets up the wire boxes.